розміри зразків ПКД панелей виходячи з особливостей структури матеріалу. Рекомендації, описані у даній публікації, можуть бути включеними до стандарту EN 16351 або EN 408. 1. Blass H. J. Tensile strength perpendicular to grain according to EN 1193 / H. J. Blass, M. Schmid // Proc. of the Intern. council for research and innovation in building and construction, Working commission W18 – timber structures, Meeting 31. – Savonlinna, Finland, 1998. – 143-158p., CIB-W18/31-6-2. 2. Blass H. J. Tensile strength perpendicular to grain of glued laminated timber / H. J. Blass, M. Schmid // Proc. of the Intern. council for research and innovation in building and construction, Working commission W18 – timber structures, Meeting 32. – Graz, Austria, 1999. – 157-169p., CIB-W18/32-6-4. 3. Aicher S. Evaluation of Different Size Effect Models for Tension Perpendicular to Grain Design / S. Aicher, G. Dill-Langer // Proc. of the Intern. council for research and innovation in building and construction, Working commission W18 – timber structures, Meeting 35. – Kyoto, Japan, 2002. – 73-84 p., CIB-W18/35-6-1. 4. Ranta-Maunus A. Duration of Load Effect in Tension Perpendicular to Grain in Curved Glulam / A. Ranta-Maunus // Proc. of the Intern. council for research and innovation in building and construction, Working commission W18 – timber structures, Meeting 31. – Savonlinna, Finland, 1998. – 293-305 p.,CIB-W18/31-9-1. 5. Statement VTT-S-05156-11, Special lay-ups of Kerto (later on renamed to Kerto-Qp) – Characteristic values // VTT Expert services ltd. – Finland, 2010. – 4 p.
6. Certificate № 184/03, Kerto-S and Kerto-Q Structural laminated veneer lumber // VTT Expert services ltd. – Finland, 2004. – 40 p.
7. Allgemeine bauaufsichtliche Zulassung Z-9.1-811. Furnierschichtholz «Ultralam R», «Ultralam RS» und «Ultralam X» // DIBT. – 2015. – 11 p.
8. Prufbericht 51220-901.6453.000/2, Bestimmung mechanischer und physikalischer Eigenschaften des Furnierschichtholzes ULTRALAM R bestehend aus Furnieren der Holzart Fichte // MPA Stuttgart, 2009. – 46 p.
9. СТО 36554501-021-2010. Деревянные конструкции. Многослойный клееный из шпона материал Ultralam (ультралам). Общие технические требования // ЦНИИСК. – М., 2010. – 19 c.
STO 36554501-021-2010. Derevyannie konstrukcii. Mnogosloinyi kleeniy iz shpona material Ultralam (Ultralam). Obshie tehnicheskie trebovaniya // TSNIISK. – M., 2010. – 19 s.
10. EN 384. Structural timber – Determination of characteristic values of mechanical properties and density // European Committee for Standardization (CEN). – Bruxelles, Belgium, 1995. – 16 p.
11. EN 14080. Timber structures – Glued laminated timber and glued solid timber – Requirements // European Committee for Standardization (CEN). – Bruxelles, Belgium, 2013. – 110 p..
12. EN 408. Timber structures – Structural timber and glued laminated timber – Determination of some physical and mechanical properties // European Committee for Standardization (CEN). – Bruxelles, Belgium, 2010. – 42 p.
13. EN 16351. Timber structures – Cross laminated timber – Requirements // European Committee for Standardization (CEN). – Bruxelles, Belgium, 2015. – 106 p.
Bidakov A.M. Методика випробувань поперечної клеєної деревини при розтягу поперек волокон / A.M. Bidakov, I.A. 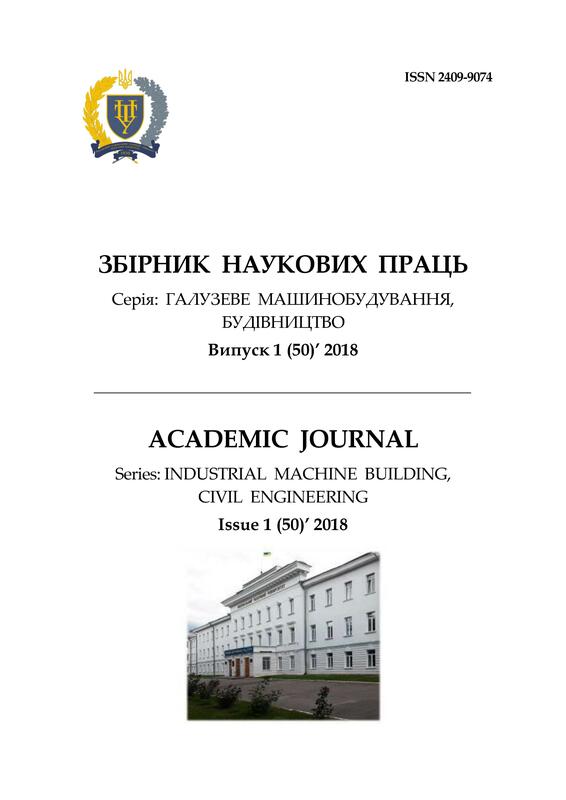 Raspopov // ACADEMIC JOURNAL Series: Industrial Machine Building, Civil Engineering. – Полтава: ПНТУ, 2018. – Т. 1 (50). – С. 148-159. – doi:https://doi.org/10.26906/znp.2018.50.1070.